In order to promote international exchange in allergy research, Nippon Zoki Pharmaceutical proposed a French-Japanese Allergy Conference, led by Japanese and French allergy specialists. In October 1970, the first session of the conference was held at the University of Paris, with approximately 150 scholars and specialists from the two countries participating. Ever since, sessions of the conference have been held every three years, alternately in Japan and in France. To the present date, eight sessions of the conference have been held in total. The importance and achievements of the conference have been regarded highly in Japan and internationally. For example, government representatives and specialists from China have attended as special participants since the third session. 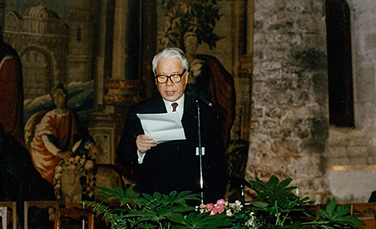 In 1984, based on a proposal of the Association of Thinking About the Future of France and Japan (commonly known as France-Japan Conference of Wise Men), the Modern Japanese Literary Short Stories and Poetry Translated in French was established by Gallimard in France with the support of Konishi Foundation of International Exchange. In 1987, a publication symposium, party, and reading impressions essay contest of these anthologies were held in Paris. 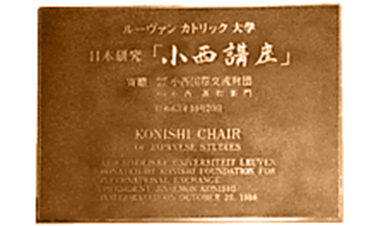 In October 1988, at the invitation of the then Ambassador to Belgium, Kichiya Kato, the Konishi Chair in Japanese Studies was established at the Catholic University of Louvain. This has played an important part in increasing mutual understanding between Japan and Belgium. 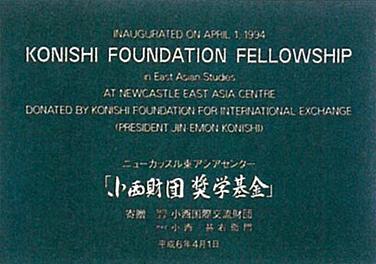 By the request of the Ministry of Foreign Affairs, in April 1994, the Konishi Scholarship Fund was established at East Asia Center of University of Newcastle to promote deeper understanding between Japan, the UK, and Europe. 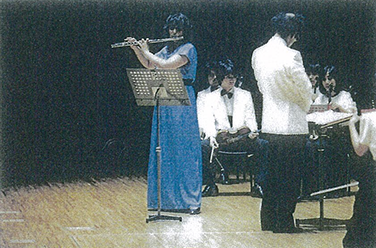 In August 1985, at The Symphony Hall, Osaka, a concert was given by Egyptian Ms. Ines Abdel-Dayem, entitled "An Evening of Flute Concertos", and in February 1992 an international music festival was held to which opera singers from the US and China were invited. In October of the same year assistance was given to hold a charity concert entitled "An Evening of Chamber Music" for the assistance of Romanian children. This meeting is held regularly in accordance with a memorandum of understanding established by the Chinese Ministry of Health and Nippon Zoki Pharmaceutical, based on a request to modernize basic medicine in China. The first session of the Chinese-Japanese Meeting on Immunology and Allergology was held in October 1980 in Beijing and Shanghai. Four sessions of the meeting have already been held to date, resulting in enormous achievements in the modernization of Chinese medicine and in medical exchange between the two countries. In order to offer young Chinese scholars the latest medical science information, Shanghai hygiene department and Konishi Foundation for International Exchange had Japanese medical science specialists come and teach an international medicine seminar together. Including the first seminar of 1987 in Shanghai, four sessions of the seminar have been held to date. 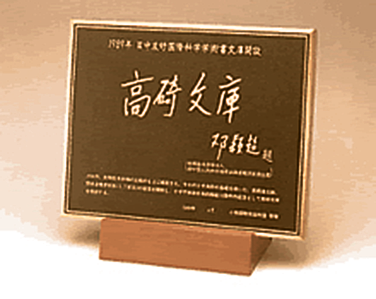 The China-Japan Conference on Medicine and Hygiene was established for improvement of Chinese Medicine and Hygiene, based on the agreement with Chinese hygiene department, in February 1993. 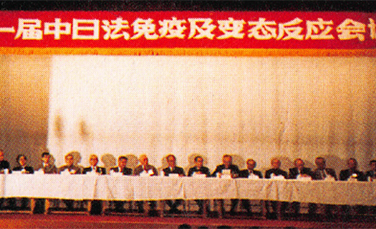 The first session of the conference was held in Osaka, and in September 1993 the second session of the conference was held in Beijing. 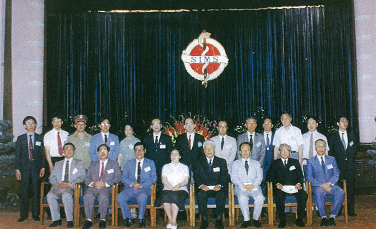 From 1983 to 1988, Konishi Foundation of International Exchange published "Soshiran", the only official medical journal for Chinese and Japanese allergy specialists. As the project for 5th anniversary of establishment of Konishi Foundation of International Exchange, Takasaki Bunko (Bunko means library) was established in order to offer young Chinese scholars the latest medical science information. 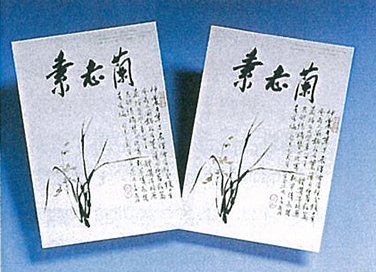 After its establishment in April 1989, five universities have been established and many medical technical books have been made to contribute to helping China-Japan academic exchange. Commemorating 10th anniversary of the China and Japan Treaty of Friendship, Takasaki Bunko was named to praise the late Mr. Tatsunosuke Takasaki publicly for his unrecognized effort. 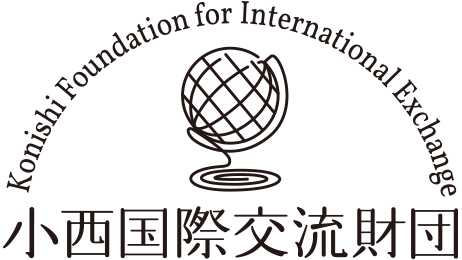 The Konishi Foundation for International Exchange has run a painting contest since 1992, based on the desire to encourage the emotional development and healthy growth of children in Japan. 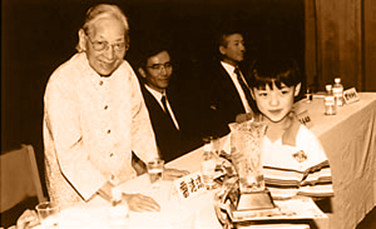 In 1995 Mr. Konishi (the former chairman of the foundation) suggested creating a friendly exchange program using Japanese and Chinese children's paintings, since children become the leaders of the future, to Mr. Huaze Shao (the President of the China People's Daily, where Mr. Konishi served as an honorary advisor). Mr. Shao gave his approval, and the Japan-China Children's Painting Exchange Exhibition became a reality. 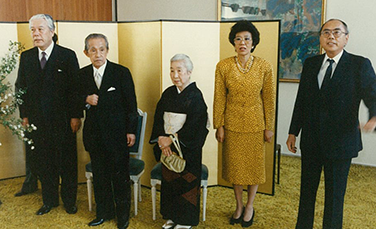 In the summer of 1995, at the Opening Ceremony of the Japan-China Children's Painting Exchange Exhibition, Japanese children visiting Beijing as friendship ambassadors were invited to the Great Hall of the People by Yiren Rong, the Chinese Vice President. On that occasion, the Vice President praised the importance of this program to Mr. Konishi, stating that as Japanese and Chinese children learned about each other's lives and culture through paintings, and deepened their friendship, they would be able to create strong bonds of good will for many generations, contributing to the friendship and harmony between the two nations. 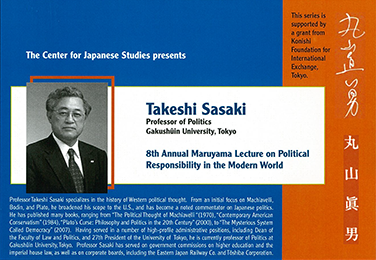 In the 10 years from 1999 to 2009, assistance was given to the Center for Japanese Studies at the University of California, Berkeley, for the Masao Maruyama Lectures.